Like Yin and Yang, Hangzhou, the capital city of the Zhejiang Province, has two sides that complete each other. This historic city is a showcase for traditional medicine, religion and art as well as a shining example of China’s rapid economic development. Combining idyllic natural beauty, a grand heritage through the ages and an air of affluence, Hangzhou is one of the country’s most livable and pleasant cities to linger in. Opening hours: Most offices are open Monday to Friday from 9 am to 5 or 6 pm. Some bank branches also operate on weekends. Shopping centers and department stores are usually open seven days a week until 9 or 10 pm. Most visits to Hangzhou center around the West Lake. 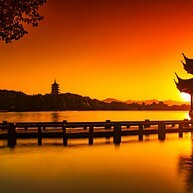 To hit some of the most important sights, dedicate a day to simply strolling around the body of water - monuments like the Leifeng Pagoda and Jinci Temple are located directly on its shores, much like many others. The lake's east bank is where fashionable eateries, bars and scenic spots are concentrated; even further to the east (around Jiefang Lu) begins the new Hangzhou, where fashionable stores and modern amenities can be found. West Lake's every scenic spot has a poetic name and a tale associated with it. Any local can point a wandering visitor to the best spot to enjoy the dawn or the setting sun. The best way to appreciate it in all its splendor is to rent a bicycle and take a ride around. This 1,000-year old pagoda continues to capture the imagination of the Chinese for the legend behind it - one of captivity, magic and a triumph of good over evil. 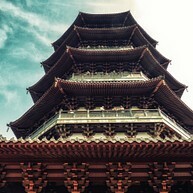 The top of the five-storey pagoda is accessible by lift and the view over the West Lake from here is truly amazing. In old times, the temple bell resounded throughout Nanping Hill every day, summoning to pray for good fortune at Jingci Temple. Emperor Kangxi once said that the temple rouses one into deep thoughtfulness, and today monks of Jingci Temple still adhere to their daily sutra-chanting and meditation. 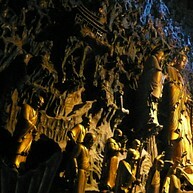 The Song Dynasty Town (or Songcheng) is an exciting, albeit slightly kitschy, theme park in Hangzhou. This is one of China’s largest dynastic theme parks, replicating the architecture and street scenes of that era.The park's main attraction, however, aren't its countless exotic exhibits, but a top-notch song and dance show that ranks amongst the finest in the world. Pagoda of Six Harmonies stands on the bank of Qiantang River, safeguarding the turbulent waters. A magnificent view of the Qianjiang River Bridge (the first modern steel-structured bridge with combined railway and road functions) unfolds from the top. About 80 km from Hangzhou city and just an easy hour bus ride away, Wu Zhen is a town where time passes without notice. More and more tourists have discovered the time-worn cobbled stone streets, crow-stepped gable, wooden doors and long, narrow alleys of Wu Zhen. Still, the life of the locals seem undisturbed. They still keep to their traditional customs, like drinking Sanbai Wine, making traditional maltose and sipping morning tea until 9.30 am, the same leisurely and pleasing way their great grandfathers did. 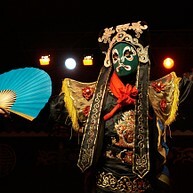 With the newly created Wu Zhen International Theater Festival, the town shows also a touch of modern culture. To immerse yourself into China's age-old tea tradition, visit the Longjing Tea Fields (or any of the other tea fields further to the west). Longjing is an exquisite variety of tea native to the region, and visitors will get a chance to sample the noble drink during a tea ceremony. Bring time to the serene Fei Lai Feng mountain park and marvel at the area's hundreds of Buddha stone carvings, surrounded by lush greenery and an indescribable tranquil atmosphere. 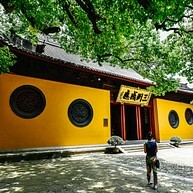 Much of the walk will entail hiking uphill to Lingyin Temple, so bring comfortable shoes. 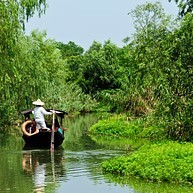 Take a boat trip or a hike through the lush, airy Xixi Wetland Park as part of a tour or on your own. Explore the abundant vegetation and wildlife, absorb the tranquility and grab a bite at one of the food stands in the compact shopping area next to the boat docks. Acquaint yourself with mysterious and rather exotic remedies collected in this authentic museum housed inside a traditional mansion right on the commercial Hefang street. 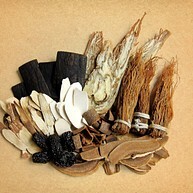 Explore herbs and roots and see stuffed animals (some - a sight not for the faint of heart) used in traditional healing. 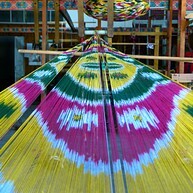 This educational museum tells the fascinating story of silk - from silk worms to finished product (some exquisite exhibits are on display), with demonstration of traditional weaving techniques. Admission is free, and explanations in English are provided. Founded in 1904, Xiling Seal Art Society was dedicated to the research of traditional Chinese calligraphy and seal carving art. Today, it is also a museum where more than 6000 authentic works of ancient Chinese artists are preserved, a boutique where you can get stone carved seals or calligraphy with your own name on it. Even the well preserved Qing dynasty style architecture of the society alone is a piece of art.